Climate change is one of the most pressing long-term challenges facing humanity and planet Earth. However, scientific uncertainty still leaves the scope of the threat unclear, and the path forward even more so. Now Dr Robert Lempert and his colleagues at RAND Corporation have developed a new approach – Robust Decision Making (RDM). Instead of focusing on trying to improve prediction, they use analytics to try to improve decisions when the future is uncertain. Quantitative, evidence-based analysis is indispensable for making good policy choices. Therefore, society often looks to scientists to make predictions about the future. This seems natural, because prediction is the bedrock of science, enabling researchers to test their hypotheses. But many of society’s biggest challenges present conditions of deep uncertainty, involving many interdependent systems undergoing fast-paced, transformative change. Despite our best efforts at prediction, we are certain to be surprised, says Dr Robert Lempert, Director of RAND Corp’s Pardee Center for Longer Range Global Policy and the Future Human Condition. Deep uncertainty also fuels political gridlock, because in a diverse society, people embrace those predictions that best justify their preferred solutions. Climate change presents an archetypal example of the challenge of making good decisions under conditions of deep uncertainty. Burning fossil fuels – oil, coal, and gas – has helped grow the global economy 10-fold over the last seventy years, but has also thickened the blanket of greenhouse gases warming the Earth by 40%. Continuing this path poses huge risks to humanity, but those risks are hard to assess. The climate is a complex system being pushed past familiar bounds. 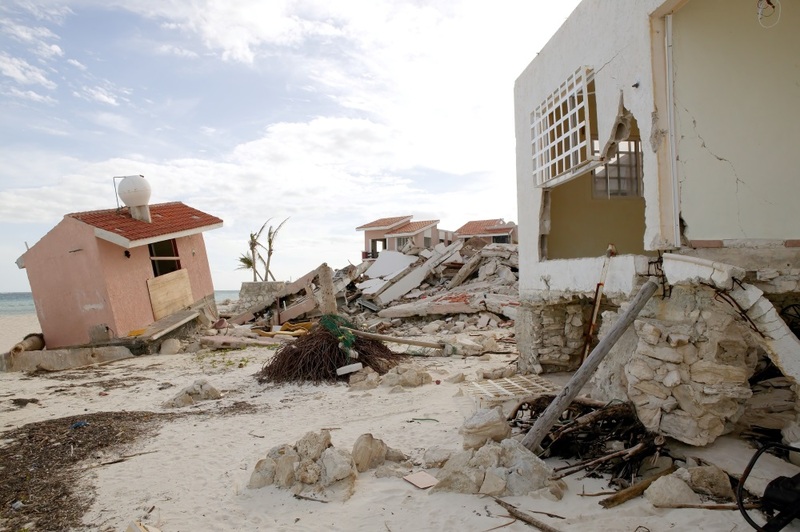 We don’t know how fast the seas will rise or how frequently extreme storms will strike. Halting climate change would require a technological and behavioural revolution that weans the global economy from fossil fuels at an unprecedented rate. Any action – or inaction – presents profound moral implications: It will affect equity among people living today, fair treatment of future generations, and humans’ relationship with nature. To help manage such deeply uncertain challenges, Dr Lempert and his colleagues have re-imagined how quantitative models and data can best inform evidence-based decisions. Analytics become a vehicle to help people both to open and discipline their imagination – systematically expanding the range of futures considered; testing the consequences of myriad assumptions; crafting promising new responses to dangers and opportunities; confronting ethical trade-offs; and sifting through a multiplicity of scenarios, options, and objectives to agree on robust and flexible approaches for managing risk. Our world is filled with ever expanding computing power. Many scientists focus on using computers to make better predictions. Dr Lempert uses them to inform better decisions. A combination of new information technology and new insights from the decision sciences enables this new approach. Dr Lempert has helped to pioneer an approach called robust decision making (RDM), which rests on a simple concept. RDM stress-tests proposed decisions against thousands or millions of plausible paths into the future. Analysts then use visualisation and statistical analysis of the resulting large database of model runs to help decision makers identify the key features that distinguish those futures in which their plans meet and miss their goals. This information illuminating a proposed strategy’s vulnerabilities helps decision makers to identify, evaluate, and choose more robust strategies – in other words, the strategies that perform best across the largest range of futures. RDM combines the best features of scenario analysis, red-teaming, and quantitative risk analysis. RDM is now being used to manage the deeply uncertain risks of climate change. In 2012, for instance, Dr Lempert’s RAND colleagues, Dr Dave Groves and Dr Jordan Fischbach helped the US Bureau of Reclamation study the 50-year future of the Colorado River Basin. The Colorado River system serves 30 million people in seven states and irrigates 15 percent of US agriculture. Growing demand, increasing temperatures, and declining precipitation threaten the future management of the river. Using RDM, the stakeholders – the Bureau of Reclamation and other interested parties – tested the performance of current river management against 23,000 alternative futures. The alternative scenarios reflected different (but possible) projections of the future climate, drawn from global circulation models and paleoclimate reconstructions of past mega-droughts in the region, assumptions about future demand, and political assumptions regarding how the parties might respond to future crises. This analysis helped a diverse and often contentious group of stakeholders agree on the vulnerabilities facing the river system and explore hundreds of options for reducing the imbalance between water supply and demand. Planners across the Basin now use the results of this study, which won the prestigious Department of Interior ‘Partners in Conservation’ award, to support deliberations regarding specific investments towards a robust, adaptive strategy for the Colorado River. The Bureau of Reclamation is also using and training its staff in these methods. RAND’s Steve Bankes cut this Gordian knot with his concept of ‘exploratory modelling’, in which simulations and data are used not to predict the future but to map large sets of assumptions onto their consequences, without necessarily privileging any one set of assumptions over another. The analytic frameworks for predictive decision and risk analysis evolved in the 1950s and 1960s when relative computation poverty made a virtue of analytics recommending a single best answer based on a single best estimate prediction. But Dr Bankes, envisioning a future of ubiquitous and inexpensive computation, explored models better suited to complex problems that defy a single, ideal solution. Dr Lempert seized upon the exploratory modelling concept as a means to study climate change and mitigate its effects. Climate change, he explains, is a ‘wicked’ problem – one with irreducible scientific uncertainties, non-linear dynamics, and complex ethical dilemmas. Wicked problems aren’t really understood until a solution has been reached. ‘Halting or managing climate change will require evidence-based decision making over a very long-time horizon,’ Dr Lempert says. ‘But the quantitative tools we had were inadequate to the task because they required us to assume more than we could possibly know. An important moment for me came when I realised we didn’t need to rely on best-estimates in order to make progress. We could use computers to stress-test a million different assumptions.’ These ideas took form during discussions at a 1991 a meeting at the Santa Fe Institute. ‘It was an amazing mix of people, including Steve Bankes and CalTech’s Bruce Murray. Discussions there crystallised for me new ideas on how to use models and ubiquitous computation to improve reasoning about how best to shape the future. It seemed like an ideal way to address climate change, and we’ve been working on it ever since,’ he explains. Dr Lempert’s Pardee Center serves as an incubator within RAND, a public policy research institute, for developing and disseminating new tools for managing the future. For instance, to demonstrate the potential of multi-scenario analytics and high-performance computing to wicked problems, RAND and Lawrence Livermore National Laboratories recently revisited the Colorado Basin negotiations, They ported the Reclamation planning models to LLNL’s supercomputers, shortening the time it took to analyse 23,000 scenarios from days to minutes. Stakeholders gathered to use this system for real-time, data-supported deliberations over the best means to manage climate change and other factors stressing the river system. But supercomputers aren’t necessary for RDM. Users have begun to move their climate adaptation models to the cloud, where they can run thousands or millions of scenarios to anticipate their vulnerabilities to multiple possible future developments and explore options for managing the full range of risks. In recent years, cities and water agencies in South Florida Allegheny County, and the Netherlands have begun to use these techniques. The World Bank has begun incorporating these methods into their guidelines for water and other systems. RDM approaches are also being used by the research network on Sustainable Climate Risk Management (SCRIM), which asks the question: ‘What are sustainable, scientifically sound, technologically feasible, economically efficient, and ethically defensible climate risk management strategies?’ For New Orleans, for example, Dr Klaus Keller, Dr Lempert and other SCRIM researchers have been building new representations of the deeply uncertain risks of rapid sea-level rise to the Louisiana coast. They are also studying strategies for decarbonisation, that is, reducing emissions of climate-altering greenhouse gases. 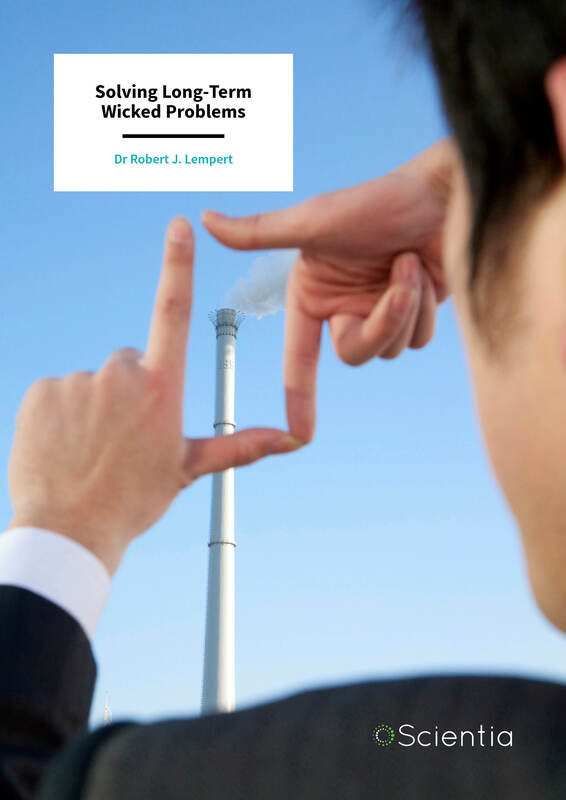 ‘Those pursuing decarbonisation often shy away from uncertainty, concerned that acknowledging it will delay action or show a lack of leadership,’ says Dr Lempert. But uncertainty is at the heart of the issue. 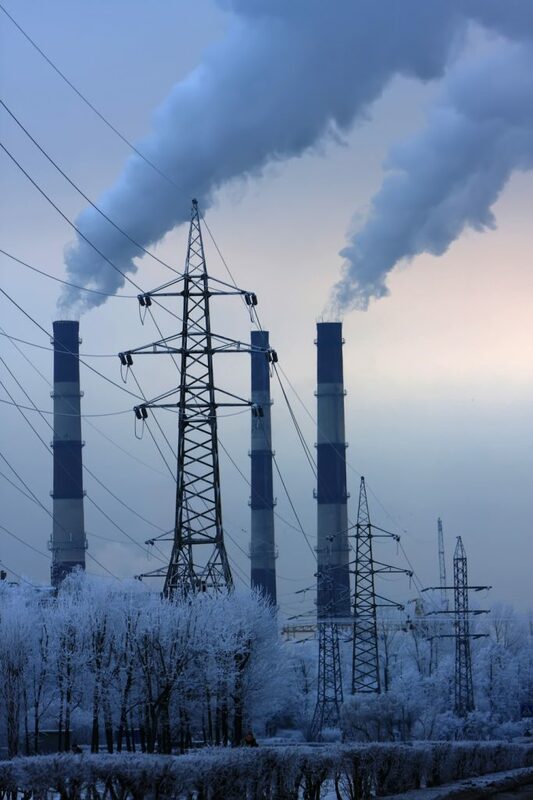 Achieving deep and rapid decarbonisation will require technical, political, and social breakthroughs that result in even more unpredictability – forcing decisionmakers to assess risky and seemingly implausible trade-offs. Dr Lempert is thus working with a network called the Decarbonization Dialogues to help the diverse, independent actors pursuing deep decarbonisation better recognise and manage the deep uncertainty involved. In other recent work, Dr Lempert and his RAND colleague Steven Popper used RDM and agent-based modelling to explore the long-term political persistence of alternative forms of greenhouse gas regulation. RDM is also being applied to other policy issues as diverse as national security, health, and tax and fiscal policies. Researchers from RAND, Deltares, TU Delft, Penn State, the World Bank and others recently founded the Society for Decision Making Under Deep Uncertainty to bring together the growing international community of researchers and practitioners who are adopting this vision of managing the future. At the root of this, Dr Lempert seeks a new form of collaboration between humans and machines. People are good at intuiting creative solutions, but also excel at convincing themselves of things that aren’t true. Computers can systematically test the consequences of assumptions and exhaustively search for counter examples. The RDM method can meld the two with multi-scenario, multi-objective analytics informed by the best scientific evidence. By illuminating trade-offs, the decision-making process can be made more open, accessible, and equitable. 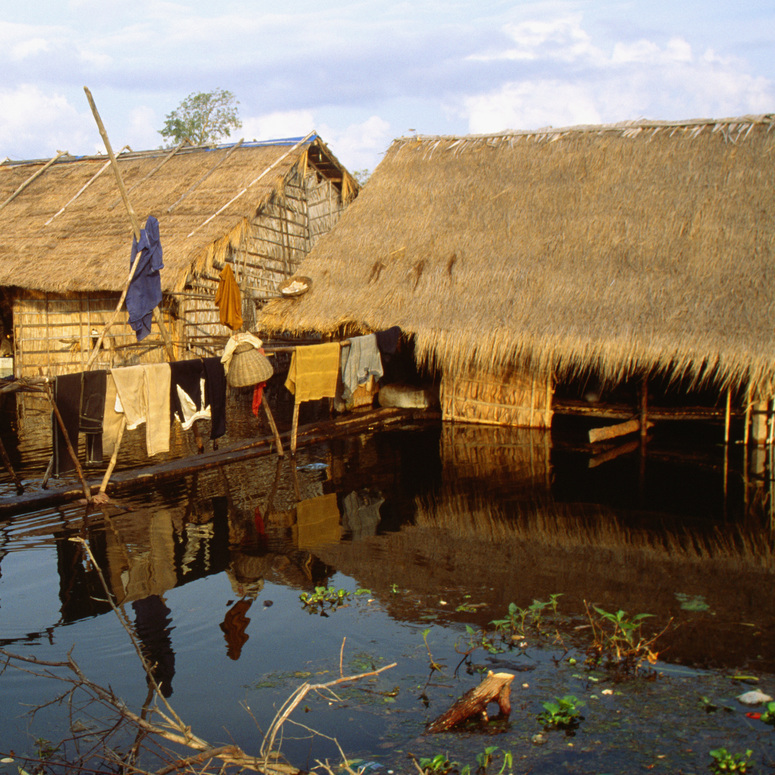 To successfully manage climate risk, society will need to be both bold and careful. Analytics designed to inform better decisions, rather than make better decisions, can help. 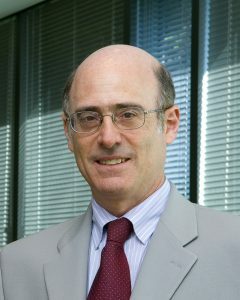 Dr Robert Lempert is a principal researcher at RAND Corporation and director of RAND’s Frederick S. Pardee Center for Longer Range Global Policy and the Future Human Condition. His research focuses on risk management and decision-making under conditions of deep uncertainty, with an emphasis on climate change, energy, and the environment. Dr Lempert is a Fellow of the American Physical Society, a member of the Council on Foreign Relations, a lead author for the US National Climate Assessment, Working Group II of the United Nation’s Intergovernmental Panel on Climate Change (IPCC) Fifth Assessment Report, and has been a member of numerous study panels for the US National Academies, including the Transportation Research Board’s Climate Change and US Transportation, and the National Research Council studies America’s Climate Choices and Informing Decisions in a Changing Climate. Dr Lempert was the Inaugural EADS Distinguished Visitor in Energy and Environment at the American Academy in Berlin. Lempert is also the inaugural president of the Society for Decision Making Under Deep Uncertainty. A Professor of Policy Analysis in the Pardee RAND Graduate School, Dr Lempert is an author of the book Shaping the Next One Hundred Years: New Methods for Quantitative, Longer-Term Policy Analysis.